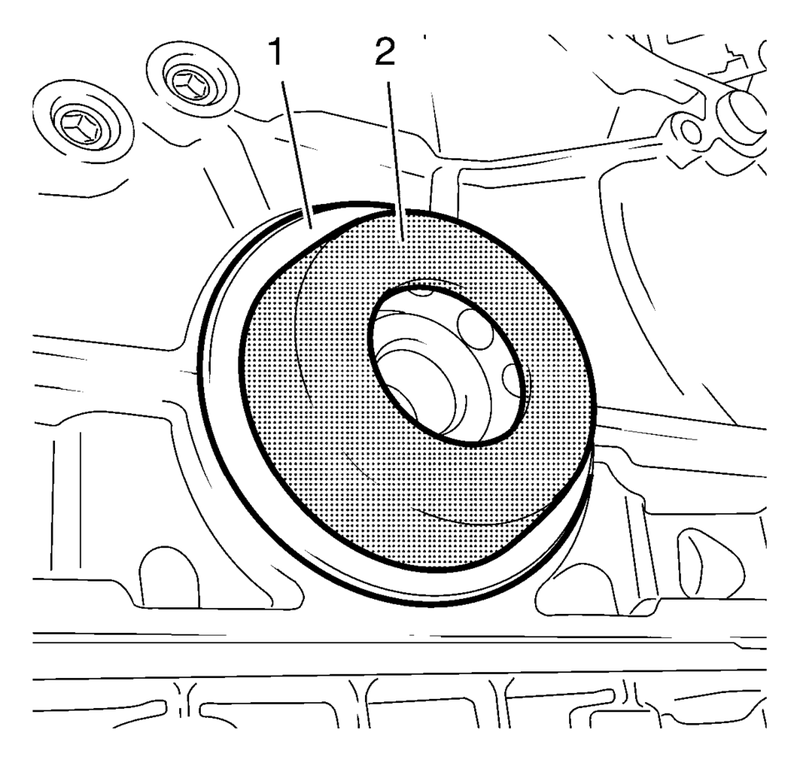 Slide the crankshaft rear oil seal (2) across the EN-235-6 installer (1). 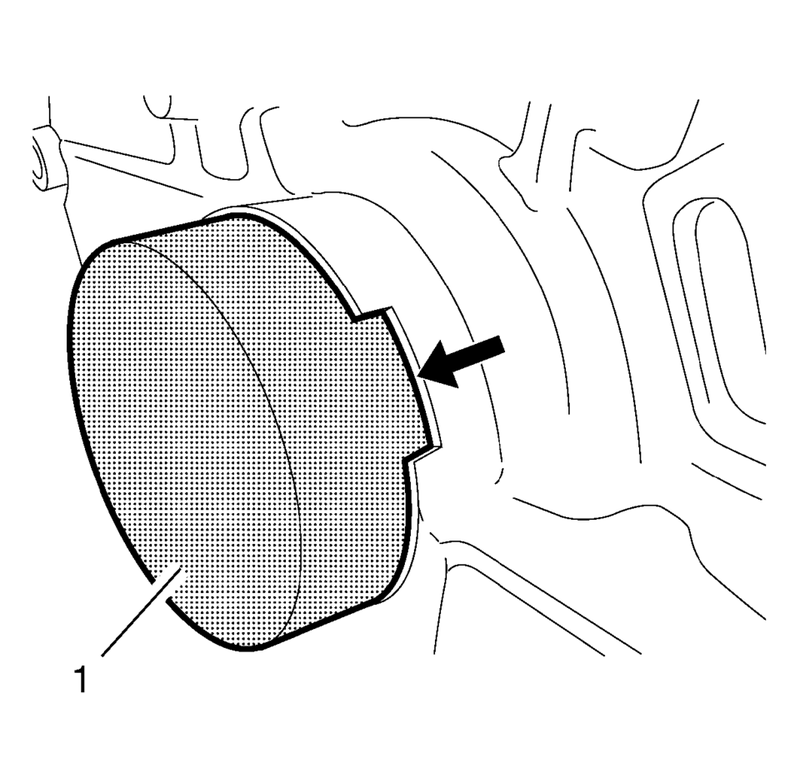 Install the crankshaft rear oil seal (1) with EN-235-6 installer (2) to the crankshaft. 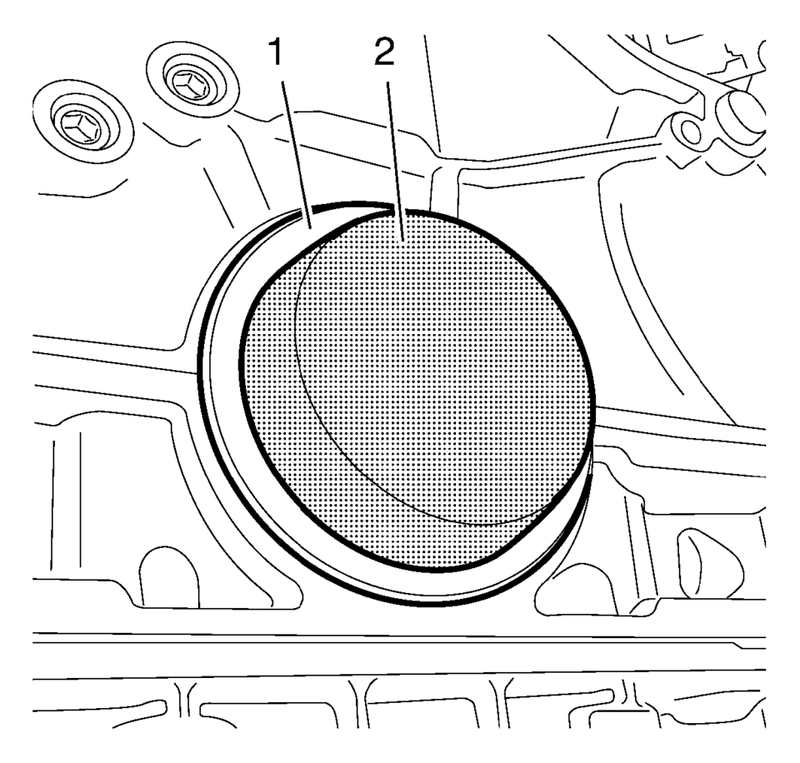 Check the crankshaft rear oil seal for proper seat, the EN-658-1 installer must be flush with the cylinder block at the position (1). 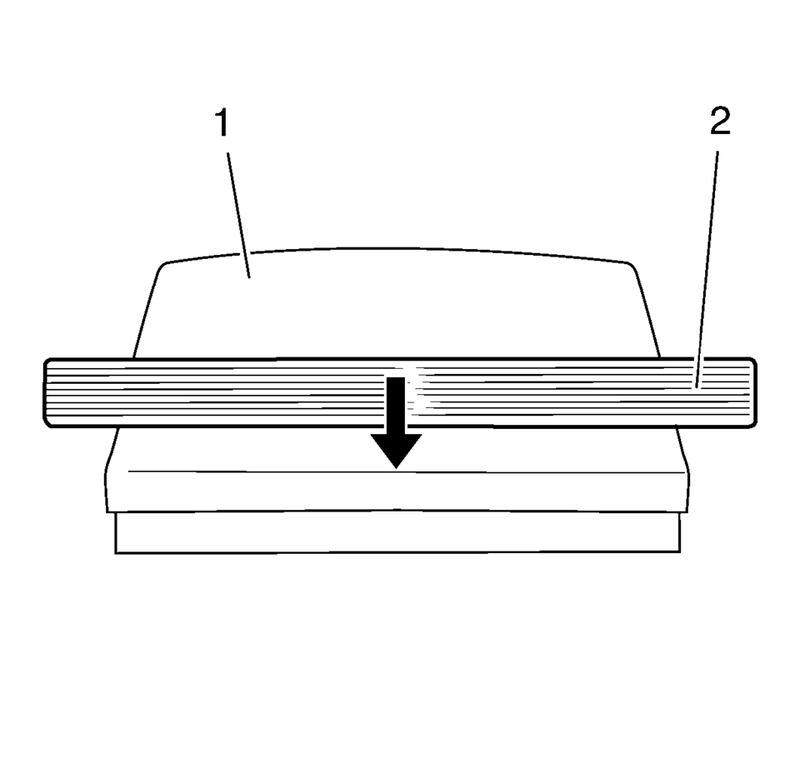 Install the reluctor ring (2). 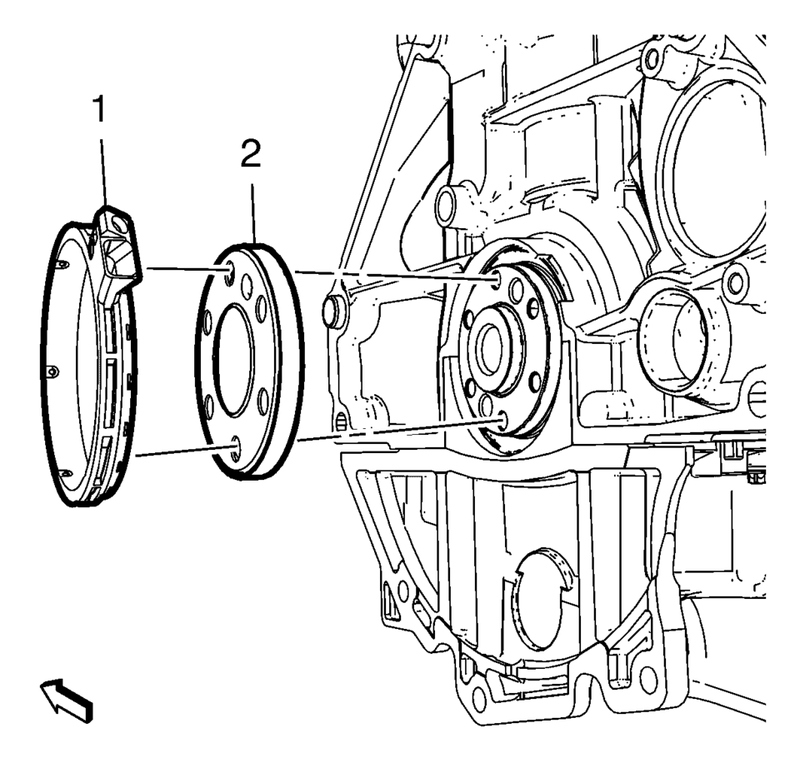 Install the crankshaft rear oil seal housing (1). 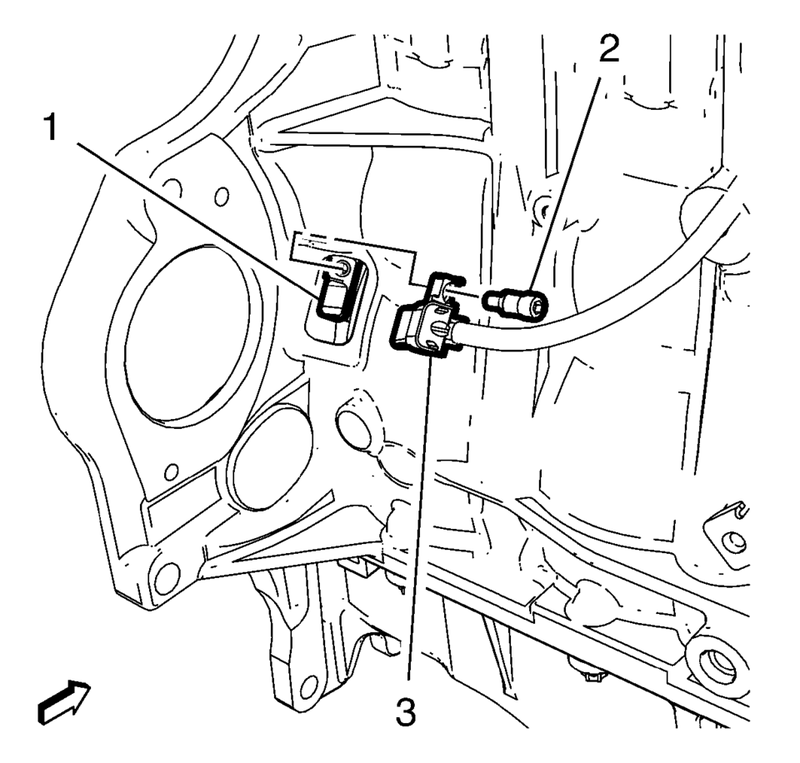 Install the crankshaft position sensor (3) to the crankshaft rear oil seal housing (1).